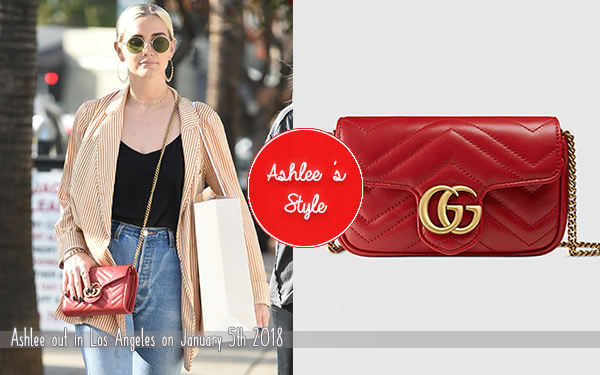 Ashlee Simpson Ross is known to have a really great and original style that’s why I propose to you some pieces that Ashlee wore during events or even during daily outings with the links to the articles that you will be able to buy. 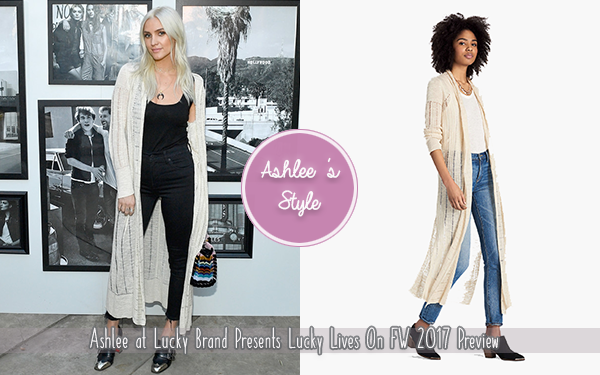 Ashlee Simpson Ross was wearing the Duster Cardigan from “Lucky Brand” : buy it here. Ashlee Simpson Ross was wearing Metallica’s Master Of Puppets’ Shirt: buy it here. Ashlee Simpson Ross was wearing a RE/DONE High Rise Denim Patch Crop Jeans. She wore it often during her last outings : buy it here or here. 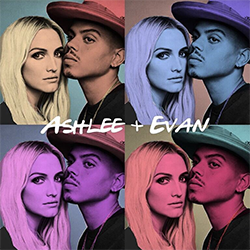 Ashlee Simpson Ross was wearing the “Brin Midnight Off-The-Shoulder Jumpsuit” by Jay Godfrey : find it here. 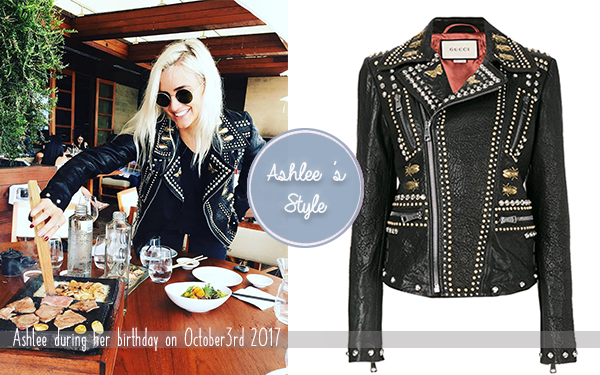 Ashlee Simpson Ross was wearing a Gucci Jacket : find it here. Ashlee was wearing a Dodo Bar Or‘s Jumpsuit : find it here. 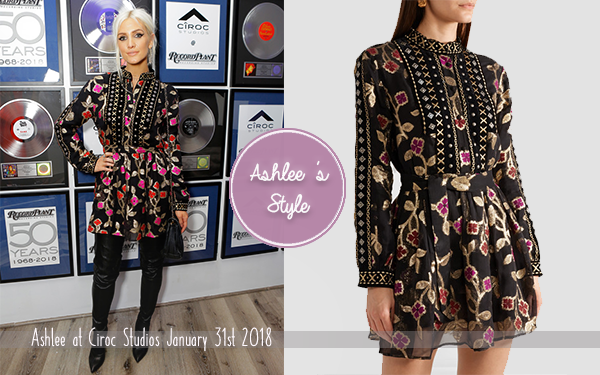 Ashlee Simpson Ross was wearing a Dodo Bar Or‘s Dress : find it here.